InMotion Hosting Review – Is Inmotion Good for Hosting WordPress Sites? InMotion Hosting is a US-based hosting company with really good customer support. Unlike a lot of other web hosting companies, Inmotion hosting’s support is truly US based. When you call them, you can speak to a real English speaking person which is very good when you are trying to sort out an web hosting related issue. You get a 35% discount when you use the following link. It also helps me with my free plugin development work. Inmotion Hosting has dual data centers, one in the west coast and one in the east coast, they’re one of the few providers that offers this kind of multiple data center option. InMotion’s multiple locations and it’s excellent customer support makes it one of the most reliable, flexible and accommodating web hosts in the hosting industry. I really like their free SSD hard drive option (it makes a big difference on your page load time). 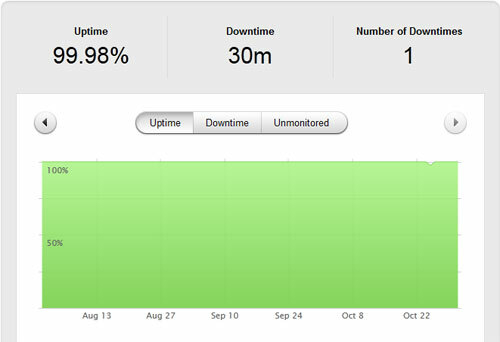 InMotion hosting has 99.9% uptime guarantee like most other hosting providers. However, InMotion actually delivers their promise. I personally use them and monitor the server uptime using my PingDom account and I can confirm that InMotion delivers 99.9% server uptime. 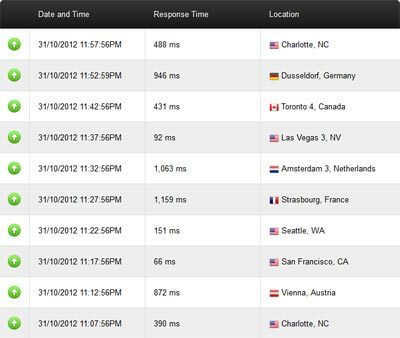 InMotion Hosting’s server response time is under one second (typically around 500 ms) which is really good too. The quicker the response time, the quicker your website loads (so low response time is good for your site). In my opinion, InMotion hosting offers the best features for businesses and WordPress powered sites. 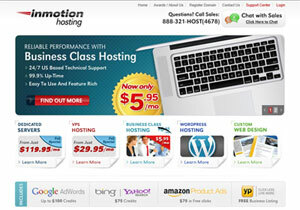 If you are creating a website to sell a product or service from your site then definitely go with InMotion Hosting. You get a big discount on your hosting plan when you use the above button. Disclosure: If you click on the above links and sign up for a hosting account, I will receive compensation from the companies whose services I have reviewed in this page. I only recommend products or services after I have tested it and I believe in it. The opinions expressed here are my own. The funds are used to maintain my free WordPress plugins. platform. Do you think this is a good platform to start with? @Nataniel, I don’t have any idea about live journal platform. However, I’m using WordPress as the content management system for this site.